To play or not to play, that was the question. Despite morning showers, gloomy skies and an even gloomier forecast, the 3rds started their match against Tiddington 3rds on time. The first passage of play saw Downs restrict Tiddington to 90-4 from 29 overs, with wickets for Sam Collins, Rob Owen (2) and Mukesh Mohanan on his debut. After the first rain break, and with further rain imminent we switched to two spinners to try and complete as many overs as possible. 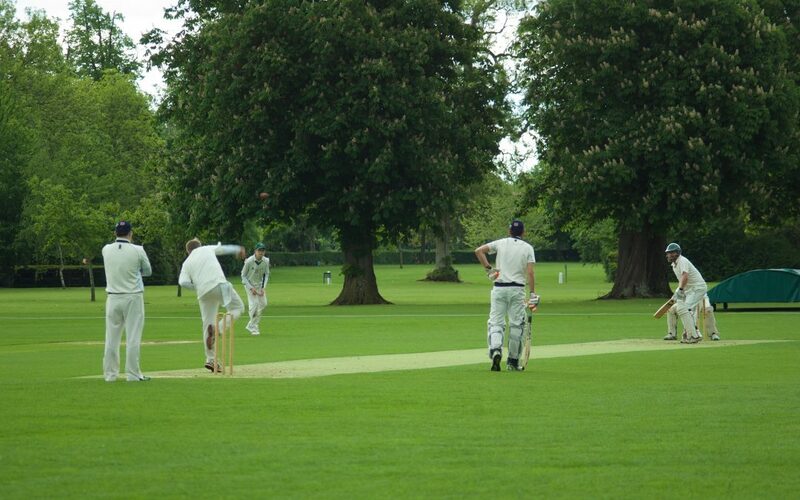 As the next deluge arrived, Tiddington had progressed to 120-4 from 37 overs. Our fielding was exceptionally good with everyone playing their part in keeping the score tight. After a break of more than an hour and a half, Downs started their innings needing 121 to win from 31 overs. Unfortunately Harry “I’ve got to go” Gillam was out to the first ball. Nick Angus and Alex Owen then added a quick 20 before Alex fell. This brought Mukesh to the crease with Nick. The score moved on to 45 in the 11th over with both batsmen playing good shots. Once Nick departed for 30 the scoring rate droppped and wickets then started to tumble. From 61-3 we collapsed to 72 all out to a mixture of very good bowling by Tiddington and some poor shot selection (especially me!). Disappointing that we ended the game with fewer points (4) than we would have taken if the match had been abandoned, but we would normally back ourselves to score the runs we needed. Thanks to everyone for their patience and support – and for the effort put in to shunting the covers on and off many times during the day and dragging a rope round to try and dry the pitch. Thanks also to Paddy for his help clearing the standing water from the square. Hoping for a warm, sunny, dry day next Saturday.